The unique atmosphere is underlined by the history of this place. VKolkovně foundation of the restaurant is mainly bet on tradition and uniqueness of the Pilsner Urquell brand and Czech cuisine fused with modern gastronomy. You can fi nd it nearby from Paris Street and Old Town Square. It is open every day from 11.00 to 24.00 hours. In summer you can enjoy your favorite beer and duck picturesque garden. In the basement of the Municipal house is situated a beautiful Art Nouveau Plzeňská restaurant. If you prefer the genuine Czech tradition, you should not refuse an invitation for traditional Czech specialities and excellent Pilsner beer. The menu changes frequently, so you can taste lots of delicious meals. In the evening you can listen to the typical Czech music upgraded by live entertainment of accordionist or Duo Švejk. U Tří Housliček is very cosy restaurant in the famous romantic Nerudova Street and you are most likely to pass it on your way to Prague castle. Building in which is the restaurant has got very interest history. This restaurant offers Czech delicates and many kinds of homemade desserts. The Bellevue restaurant is a place of prime gastronomy in the heart of Prague; a place of original Czech / European design; a place of tradition, but also of the most progressive European trends. The restaurant is located at the Smetana’s river bank. It is an exceptional location in the immediate vicinity of some of the Prague’s most valued gems – the National Theatre, the Žofín palace, Charles Bridge, Rudolfi num and the Old Town square. Kampa Park is Prague’s premiere fi ne dining establishment. A favourite of local and international celebrities, this upscale restaurant delivers sumptuous gourmet cuisine that includes world-class fi sh and meat delicacies paired with over 150 wines. Dine on an intimate terrace overlooking Charles Bridge, or in elegantly modern dining rooms created by the city’s hottest local designer. Kampa Park sets the standard for high-end dining in Prague. Mlýnec Restaurant is in a stunning location by the river in the very centre of Prague overlooking Charles Bridge. It offers a wonderfully balanced international menu, using fresh local and seasonal ingredients wherever possible. The atmosphere at Mlýnec is elegant and sophisticated, with refi ned service. The menu at Mlýnec is well balanced, to appeal to most diners. V Zátiší is one of the most spectacular restaurants in Prague. This restaurant offers an interesting combination of Czech and international delicacies. V Zátiší is set on the Bethlehem Square, in the Old Town. It is furnished in a contemporary style with touches of old time Prague. The menu changes frequently and includes beautifully cooked steaks, fi sh and duck, but also some fi ne Indian dishes. Francouzská restaurant is situated on the right north wing of the front side of the Municipal House. Art Nouveau Francouzská restaurant is a prestigious venue of high quality cuisine and service. These values are proven and recommended by food critics, gourmets, general public as well as by numerous award received. Overall restaurant’s ambiance is enriched by live piano or jazz music. Hergetova Cihelna Restaurant is set in a prime location by the river in the Lesser Town. This stylish, modern restaurant offers fi ne dining by the river, with lovely views of Charles Bridge. The cuisine at Hergetova Cihelna is well prepared and superbly presented. There is a great choice of fi sh, pasta, salads, a variety of tasty starters. Besides, Hergetova Cihelna has an excellent wine list. La Finestra in Cucina belongs to one the best Italian restaurants in Prague. The restaurant features an open kitchen where you can observe Chef Tomáš Černý performing his artistry as he prepares your chosen meal. You can choose a multitude of Italian specialities, taste freshly caught fi sh or enjoy delicious meat dishes. Beside the culinary experience, La Finestra wants to build the largest wine cellar of quality Italian wines in the Czech Republic. Grosseto Marina is an Italian fl oating restaurant situated on the Vltava river near Charles Bridge. The restaurant has two fl oors; lower fl oor offers three separated sections with exhibition kitchen. Open deck on upper fl oor is an ideal place for romantic lunch or dinner or perhaps just a glass of wine in the beautiful surroundings of old Prague and spotless view of Prague Castle. We will be more than happy to assist you with your reservation in the restaurant of your choice. SaSaZu, one of the largest entertainment facilities in Prague which is capable of accommodating up to 2 500 guests, offers highly fl exible premises for organizing public and corporate events. There are held many concerts and other music events during a year. Besides, there is a kitchen, where you can taste a variety of Asian meals. The cuisine is based on fi ve techniques and elements of Asian cooking – Sambal, Otak Otak, Flame, Roti, and Tai Tai Grill. James Dean is the original american restaurant and bar straight in the centre of Prague. Immediately after entrance you are impressed by a monumental hand-made column made from 60 pieces of splittings ceramics, which creates picture of James Deane and Marilyn Monroe. You can choose from a variety of alcohol, non-alcohol drinks and of course taste some special american meals such as burgers, sandwiches. La Bodeguita del Medio in Prague is a lively Cuban restaurant and cocktail bar designed in the colonial style of Old Havana. There are several dining areas, each with plenty of character. The furniture is made of deep, dark wood and the walls are full of artefacts from Cuba and other exotic countries. The menu offers a wide choice of dishes freshly prepared Caribbean cocktails. An enterprise inspired by Ernest Hemingway a famous patron of bars who lent his name to more than a few cocktails. He famously improved many recipes, which is why bars throughout the world today prepare cocktails such as the Hemingway Daiquiri and his Papa Doble. The Hemingway Bar devotes considerable attention to his drinks of choice: absinthe, rum and Champagne. Bugsy’s bar is located in the most luxury street in Prague – Paris street, nearby The Old town square. In Bugsy’s Bar mixed unusual cocktails and they offer a lot of kinds whiskey and rum. In this bar you will spend unforgettable memories. Cloud 9 DJ cocktail bar in Prague on the rooftop of the Hilton hotel. Sky bar with panoramic view of Prague. Cocktails, food, live music, design interior, great variety of spaces offering intimacy or entertainment. This two-hour tour will give you a general impression of Golden Prague. You will have the chance to see the most interesting and famous sights, such as the Charles Bridge, the National Museum, the National Theatre, Prague Castle, St. Vitus Cathedral and lots of other well-known monuments. The tour ends at the Prague Castle. Guided. During this excursion you will be acquainted with the historical district of the city. First, you can admire the New Town (the National Museum, the National Theatre etc. ), then the private bus will take you across the Vltava river to the Lesser Town. Next, the tour continues up towards the Castle district, where you will take approximately an hour-long walking tour, during which you will have a chance to see the worldfamous St. Vitus Cathedral. Finally, the private bus will take you to see the Jewish quarter and then through Old Town Square to Wenceslas Square, where the tour ends. Guided. A walk through Jewish history in Prague belongs to one the most required tours in Prague. During this walking tour you will see the only Central European Jewish town-quarter that survived the Holocaust. You will stroll through the Old Jewish Cemetery, you will visit four of the six surviving synagogues and Kafka’s house on the Old Town Square. This is where your trip will also end. The price includes admission to the Jewish Museum and the Old Jewish Cemetery. Guided. The tour got its name during the Middle Ages, when the coronation ceremony of the Czech kings took place along its route. The ceremonial route started off in the Royal Court, in the vicinity of the former residence of the king, and proceeded to the place which is now the current Town Hall, fi nally ending near the St. Vitus Cathedral within the Prague Castle, where the new Czech kings were then crowned. After crossing the Charles Bridge, the tour turn away from the original route to the not-too-distant Church of the Victorious Virgin Mary. Inside the church, you can admire the Statue of the infant Child Jesus which has been welcoming visitors from all over the world since the year 1628, when it was fi rstly brought to Prague from Spain. Guided. For demanding clients, who rather then organized tours prefer to walk with professional private guide, we will be happy to organize private tours with experience guides. The most beautiful view of the Prague panorama and its world famous monuments is from the deck of a boat on a Vltava river cruise through the heart of the city. Besides Charles Bridge, Prague Castle and the National Theatre, you can also admire the Lesser Town, the Kampa or Štvanice islands and many other sights. Every day the modern restaurant boats and historical steamers set off from the embankment by Čechův Bridge. You can choose from sightseeing cruises to romantic evening cruises with full gastronomical service and live musical accompaniment. Don’t just visit Prague – experience it through its real tastes! This historical boat tour will give you the chance to see Prague from a different perspective. Take a 45 minute boat tour aboard the Vodouch and cruise through Prague Venice and the waterways of old Prague. Learn the history of Prague in the Charles Bridge Museum right next to the dock. The museum entrance fee is included in your ticket price! You will depart from below the oldest bridge in Prague – the Charles Bridge. Next you will have the chance to enjoy an unbeatable view of Prague Castle. After you will be amazed during the cruise through “The Devil’s Channel” (Čertovka). Don’t forget to enjoy the complimentary beverages during the tour. During your visit to Prague you should not miss the large Gothic castle founded in the 14th century by Charles IV, King of Bohemia and Holy Roman Emperor. Karlštejn served as a place for safekeeping the Empire coronation jewels, holy relics and other royal treasures. Located about 35 km southwest of Prague in the Karlštejn village, it is one of the most famous and heavily visited castles in the Czech Republic.Guided, entrance fee are included. Kutná Hora, located about 65 km outside of Prague, owes its origin to its silver mines, the existence of which can be traced back to the beginning of the 13th century. It was second only to Prague as the most important town in Bohemia, having become the favourite temporary residence of several Czech kings as well as the mint for the “Prague Penny” (“Groš”). Kutná Hora was declared a world heritage, and since 1995 has been protected by UNESCO. Our guide will show you the most important buildings and places – the St. Barbora’s Cathedral and the Ossuary (Bone House). Guide service and entrance fees are included. Should you be interested in private transfer or transfer with private guide, please do not hesitate to contact us. Český Krumlov, which has been part of the UNESCO cultural and natural heritage since 1992, is situated in Southern Bohemia, nestled in beautiful countryside with scattered ponds and lovely views along the Vltava river. In the historical centre of the town there are over 300 historical houses and the second largest castle in the Czech Republic with magnifi cent baroque gardens. The castle used to be a seat of important and famous noble families – Rosenbergs, Eggenbergs and Schwarzenbergs. It is there you will see a unique theatre with rotating auditorium. The oldest baroque theatre in the world is part castle as. Should you wish to stay in Český Krumlov overnight, we will be happy to arrange accommodation in our sister hotel: Hotel Bellevue Český Krumlov, member of Asten Hotels. Should you be interested in private transfer or transfer with private guide, please do not hesitate to contact us. Terezín was founded at the end of the 18th century by Emperor Joseph II, originally as an ingenious military fortresses for the protection of the Bohemian Kingdom. During World War II, in 1940, the Gestapo took control of Terezín, and the town was turned into a Jewish ghetto. The Nazis tried to make it look from the outside as a model Jewish settlement, but in reality it was a concentration camp. Guide service and entrance fees are included. Konopiště is wonderful castle, built by the Benešovic family at the turn of the 13th and 14th centuries. It obtained its current appearance at the turn of 19th and 20th centuries, when the chateau was owned by Franz Ferdinand d’Este. Since 1918, it has been the property of the Czech state. The chateau offers 3 basic tours and 4 additional tours. 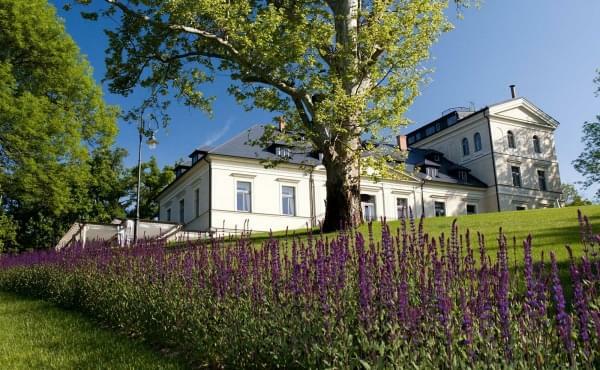 Jemniště is beautiful chateau, an elegant two-storey building intended mainly for summer stays. The front facade is situated towards the road leading to Benešov. At the turn of the 18th and 19th centuries, the baroque garden was transformed to a romantic English park. Should you wish to stay at cosy place close to these places, we recommend our sister hotel Bellevue Karlov Benešov, Member of Asten Hotels. 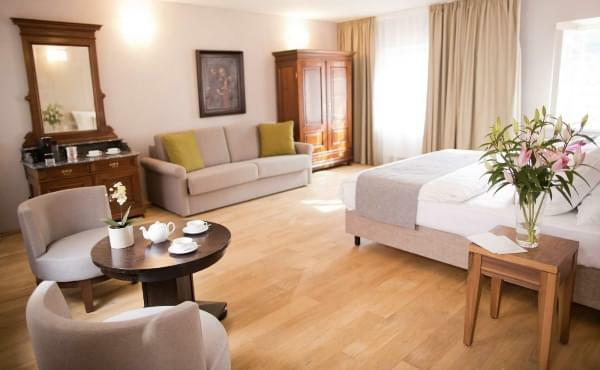 It’s conveniently located on the highway to the airport, so it’s ideal choice to spend one night after your Prague stay to explore wonderful chateaus in Czech countryside. If you want to enjoy skiing in the Czech Republic, Špindlerův Mlýn in Krkonoše mountains, being called also “Czech Aspen”and located just 2 hours drive from Prague, is the right place. Skiareal Špindlerův Mlýn is the most important winter centre in Czech Republic. A lot of important world sport events take place each year here and is located close to our ski resort in Czech Republic. Špindlerův Mlýn operates 4 chair lifts and 11 ski lifts in Špindlerův Mlýn and Horní Mísečky, total 25 km downhill slopes. Cross country routes are sought after by lovers of cross country skiing. Cross country routes are daily prepared, it is starting place for ridge tours. Špindlerův Mlýn is wonderful in summer season too, while offering many touristic routes, biking tours including the lifts and many other activities. We will be happy to arrange for accommodation in our sister Hotel Savoy, member of Asten Hotels, which offers 36 modern, stylish hotel rooms including a Savoy suite, luxury suite, and family room, Wellness and restaurant KOGO. Please do not hesitate to contact us for any further information you may need. We highly recommend to make the reservation in advance. Please contact us with your requirements, we will be happy to help you to organize your stay in Prague and Czech Republic so your stay is full of unforgettable experiences! Prague Zoo is open daily all year round. If you want to take a trip to the zoo, you can go by public transport, car, or bike, or you can even enrich your trip with a steamboat ride. It seems to be the most enjoyable way how you can get to the zoo. The trip takes about 75 minutes. The steamboat goes daily from the end of March to September. For more details about timetables, please, see below. The steamboat runs from the zoo to the centre (Rašínovo nábřeží) as well. A unique water world covering 9 150 m2 , this is the largest aquapalace in central Europe. It consists of three buildings which is sure to delight all tourists from those in search of an adrenaline rush, to surf-lovers, to those who prefer a toning swim in the pool or want to relax on a sunbed or enjoy the whirlpool bath. We will be more than happy to assist you with your reservation. For more information, ask at the receptionist desk. The Prague DinoPark is a fun, educational amusement park fi lled with life-sized models of dinosaurs. Some of them move and roar to make the experience of facing these giants even more lifelike. A 4-dimensional 12-minute fi lm called Triceratops is shown throughout the day. The toy museum at the Prague castle is the second largest exposition of toys in the world, from ancient Greece to the present, collected from all over the world. Whilst the boys will be most probably excited with the various automobiles, trains, and ships models, the girls will enjoy the collection of houses for dolls. The Prague Sea World opened in 2002 as a small scale sea aquarium. It became so popular with the public that it quickly grew into its current size. The aquarium is the largest of its kind in the Czech Republic, and makes for a pleasant excursion with young children. There are lots of tanks containing multitude kinds of fi shes, corals and other sea animals including a huge shark. See below. by tram 12, 17, 24 to station Výstaviště. The Petřín Hill offers beautiful views of Prague and several attractions for adults and children alike. The hill is easily recognizable by the TV tower that is a miniature of the Eiffel Tower in Paris. You can climb the tower for views and enjoy some other activities while up at Petřín, besides, you can visit the mirror maze, or you can ride a horse or pony. Do not miss a beautiful rose garden. To get to the top, you can either walk or take the funicular from the tram station Újezd. The funicular operates daily and runs every 10 to 15 minutes. In case of strong wind, the funicular sometimes does not operate, for update information, ask at the receptionist desk. The nostalgic Tram no. 91 is a historic tram that runs in the centre of Prague on weekdays and holidays. The tram leaves its depot in Strešovice and than follows its regular routine throughout Prague. from 5. 4. – 17. 11. on Saturdays, Sundays and holidays from 12.00 – 17.30 The tram goes every hour. Puppet theatre enjoys a long tradition in Prague and throughout the Czech Republic. A master puppeteer‘ creations are true gems of artistic craftsmanship. The National Marionette Theatre is the original puppet theatre in Prague and puts on the best shows. These include highly entertaining versions of Don Giovanni, The Magic Flute, and a Puppet Gala Performance. Puppets are dressed in period costumes, performing on authentic 18th century stage sets. Shows appeal to adults and children of all ages and nationalities. Performances are held almost every day. For update information about performances and prices, ask at the receptionist desk. Welcome to the world where fi lm blends with reality. You will see the world through the eyes of an old elephant living in Kenya. Dive into the undersea World of the most fearsome giant white sharks 500 m below sea level. Take a ride on the hugest roller coaster and try out bungeejumping in Grand Canyon, USA. Experience the weightlessness of space and see your own shadow on the Moon. Find yourself inside human veins and travel all the way up to the heart and explore the human body. For update information about movies, ask at the receptionist desk.